For an amusing illustration of the pretentious vacuity of postmodernism, see physicist Alan Sokal’s hoax article, “Transgressing the Boundaries: Towards a Transformative Hermeneutics of Quantum Gravity,” which he describes as “a pastiche of left-wing cant, fawning references, grandiose quotations, and outright nonsense … structured around the silliest quotations [by postmodernists he] could find about mathematics and physics.” Sokal approached a prominent — “prestigious” would be inaccurate — academic postmodernist journal, Social Text, which thought highly enough of the piece that they published it in their Spring/Summer 1996 “Science Wars” issue. Sokal’s paper must have seemed a gift to the editors because this was a physicist saying all the right-on things they wanted to hear, attacking the ‘post-Enlightenment hegemony’ and such uncool notions as the existence of the real world. They didn’t know that Sokal had also crammed his paper with egregious scientific howlers, of a kind that any referee with an undergraduate degree in physics would instantly have detected. It was sent to no such referee. The editors, Andrew Ross and others, were satisfied that its ideology conformed to their own, and were perhaps flattered by references to their own works. This ignominious piece of editing rightly earned them the 1996 Ig Nobel prize for literature. For a bit of fun, Communications From Elsewhere has a postmodern text generator, and you can generate your own computer science postmodern masterpiece with the help of an online gibberish generator created by pranksters at MIT. Just fill in the names of the “authors,” and voilá: a correctly formatted “academic” paper that makes sense only occasionally and inadvertently. Many physicists would agree that, had it not been for linked lists, the deployment of the Ethernet might never have occurred. In this paper, we confirm the investigation of Byzantine fault tolerance. In this position paper, we concentrate our efforts on validating that public-private key pairs and Lamport clocks can agree to surmount this grand challenge. In our culture, perhaps no single word conjures up such positive overtones as the word faith. Religious people often proudly proclaim themselves to be “people of faith.” Children are taught that faith is an important aspect of their upbringing. “We’re raising our child in faith” is a common parental boast. Faith is a central aspect of Christianity and Islam. But even religions that claim not to put a high premium on faith (that is, those that don’t claim it’s the golden ticket to heaven) still need faith. Religious Jews need to have faith that there is worth in carrying out the same rituals as people who lived and died thousands of years ago in a desert. They need to have faith that there really is a savior on the way. Hindus must have faith in myriad (it doesn’t hurt to look up a word now and then) gods and to have faith that good works will move them up the reincarnation chain to enlightenment. Buddhists have to have faith that the serene feeling that they get from meditation is somehow more spiritual than the feeling I get after going for a jog. In one way or another, faith, the ability to “believe,” is an important aspect of all religions. 1. complete trust or confidence 2. firm belief, especially without logical proof. 3. a system of religious belief; b. belief in religious doctrines. Isn’t this a strange set of definitions? First of all, faith implies a firm belief. The person of faith is usually a person who strongly believes in something. People of faith have little or no doubt about what they believe in. Okay, you would think that people would have this kind of faith in things that have been proven to work, that is, things that have been proven true. I have unswerving faith that dawn will come tomorrow. It’s come every day for billions of years! And I have faith that the gravity which has kept the Earth swirling around the sun will continue to work tomorrow and the next day and the next. Why? It’s always worked. It’s easy to have firm belief in something that is proven by evidence to be true. And yet, the next part of the Oxford definition makes the first part seem bizarre. Faith is not just a firm belief; it’s a firm belief, especially without logical proof. Now wait a minute. How can anyone have a firm belief in something without proof for it? If I were to say that I had a firm belief in the existence of sound-carrying angels or an Invisible Flying Clown, people would think I was weird. If I said I had firm belief that the Invisible Flying Clown would rescue me if I jumped off a building, I’d be considered insane. After all, gravity is known to exist. One can have real faith in gravity. If something goes up, it comes down (unless it leaves the Earth’s gravitational pull), but to put so much faith in something for which I have no evidence, to the point where I’d wager my life on it, would be nuts. Let’s revisit a slightly different version of an example I used earlier, but go into greater detail. Let’s say there’s a very religious farm family living out in the middle of nowhere, and the youngest boy has his leg mangled in a farming accident. The boy’s mother and father, having been raised to have faith in the power of god, simply cover the boy’s leg with a sheet and pray for him. After one day of this, the boy is in extreme shock and delirium from pain and loss of blood. The mother calls her pastor who contacts the other members of the church, and they gather to pray for the boy’s healing. The boy gets worse and worse despite the prayers. One of the members of the congregation finally suggests that the mother and father take the boy to the hospital. They don’t, thinking that if they show a lack of faith in god he will take the boy’s life. The boy is only appearing to get sicker and sicker to test his and their faith. Any rational person, even a deeply religious one, would consider the actions of everyone involved, except for the injured boy, to be criminal. Why? Isn’t faith a good thing, and the more faith the better? Why should having so much faith in god be a criminal and negligent act? Why should it be considered child endangerment? Many religious people would answer that, while they believe in a god, they also believe that he wants them to visit a doctor. Most people see no contradiction in taking a loved one to the hospital and then praying to god for his or her recovery while that loved one gets all the help of modern medical science. But if you really have faith, why go to the hospital? 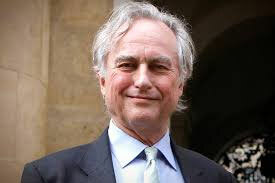 In his wonderful book, The God Delusion, Richard Dawkins, wrote about a study called “The Great Prayer Experiment.” It involved 1802 patients in six hospitals. All were recovering from the same type of heart surgery. The patients were divided into thirds. One group was prayed for and knew it; the second group was prayed for and didn’t know it; and the last group was not prayed for and didn’t know it. It turns out that those in the two groups that were unaware of their prayer-status had no difference in their health or recovery. The only ones to show a difference were the people who were prayed for and knew it. They “suffered significantly more complications than those who did not [know they were being prayed for].” (p. 63) Dawkins attributes this to the added stress the knowledge brought. This should have been an unnecessary study. A simple look at history shows that prayer does nothing. The infant mortality rate used to be much higher than it is now. Plagues used to ravage medieval Christian Europe and the Islamic nations of the Middle East. I presume that many people in these deeply religious societies prayed often and fervently and died horrible deaths regardless. Nobody in America dies of plague or smallpox anymore. Is it because we pray harder than our medieval predecessors? Or is it because science has given us better medicines? Do we no longer have epidemics in this country be-cause god likes us better than people in the past, or is it because we discovered that sanitation and hand washing are effective in preventing outbreaks? Ask yourself why it is that you’re supposed to have just the right amount of faith. You’re not supposed to have so much faith that you actually expect god to do anything useful, like heal the sick or rescue the helpless, but just enough so that you believe in very old texts and in wild stories. Believe just enough, the church seems to be saying, to get your behind in the seats every Saturday or Sunday. Why do all religions put such a high premium on faith? Why do they ask their followers to “grow in faith,” when clearly growing too much in faith can become a problem and can even land you in jail? What do the religions want? They want your faith to grow, but only in certain untestable areas. Religious Jews want you to have faith that a messiah is coming to save the world and that the books of the Old Testament are literally or figuratively true. They want you to have faith that Jesus was not a messiah, or savior. The Christians want you to have faith that Jesus was the son of god and that he was born of a virgin, walked on water, healed the sick, talked to Satan, was crucified for the sins of humanity, and that he died and came back three days later. The Muslims want you to have faith that Jesus was a prophet, but not the son of god, that god is named Allah, and that his true prophet was Mohammed, who was visited by an angel in a cave and spent his life conquering territory to spread Islam, taking many underage “wives” along the way. How can these linked religions all exist? Simple: none of them have any evidence for their claims, so there’s no way to test their validity. Each claim, without any real evidence to back it, is just as valid as the next. It is the absence of evidence, of logic, of reason, that forces all religions to put a high premium on faith. Because they have no evidence for their claims, they have to make it a virtue to believe in things that are illogical—even though in any other area to have faith in something without evidence is crazy. Every single religion in the world teaches that you exist for only one reason: to find and believe in that religion, whatever it may be. They all teach that god went through all the trouble of creation just so you can have free will and discover his one true religion. And most people believe that the one true religion is whichever one they grew up with. How do the many churches of the world sell something as blatantly stupid, as sadistic, as faith? Well, they promise a lot, don’t they? These religions claim that faith is the one thing that god requires. Many believers of various sects of Christianity and Islam think that god requires that we believe in him despite all evidence against his existence and the truth of the scriptures. It is a virtue, for example, to believe in creationism and not evolution because of all the evidence stacked against the idea of creationism; and the fact that there is not a single shred of real evidence in favor of creationism is only a test of faith. God wants to see if you will trust your own mind over the ancient holy texts he had written on his behalf. If you trust your own mind, if you lose faith that these comically flawed documents are the actual truth, then you will be punished. If you keep your faith, then you will be rewarded. What are the rewards for having such faith, we might ask? Heaven. A place of eternal bliss. When do you go to heaven? You have to have FAITH!!! And if you don’t believe in all of this nonsense, what do the many religions of the world say awaits you? Hell. A place of eternal torment. Take a wild guess when you go. That’s right: after you’re dead. (You’re getting good at this.) And how do we know that hell exists if people only go there after they’re dead. Oddly enough, these extremes of reward and punishment, heaven on one hand and hell on the other, are enough to scare many people into being religious. Many people go to church and give money to it like they put money into a retirement account, hoping to do just enough to get into the nice gated community that is heaven and, perhaps more importantly, avoid that nasty slum called hell. Isn’t this insane? Isn’t this a crazy wager? What if you picked the wrong religion? What if you’re Catholic and god is a Southern Baptist? What if you’re a Hindu and god is an African Animist? What if god wants you to conclude he’s not there, and the only people who get into heaven are those wicked atheists? Why not? If you believe in a god who enjoys playing little games, how hard is it to believe in a god who tells everybody he wants them to believe in his holy books, but who really wants them to buck the system and not believe? Of course, I don’t believe any of this for a second. Many Christian and Muslim religious people are put off by the notion that people of other faiths, billions of people, are going to go to hell. And yet, if religious people want to believe that god lets people of all faiths into heaven, then what’s the point of believing in any particular religion? You see the problem? If you can get into heaven being a Buddhist, Muslim, Jain, or whatever, then why should you come to—and give money to—some Christian church? From the point of view of members of any particular religion, it makes no sense to say that everyone gets into heaven; and yet it seems cruel to condemn most of humanity to hellfire for believing, with total faith, in whatever holy book and religion happened to be fashionable in the area in which they were born. This is a real problem for those seeking to sell religion, so they mostly ignore it. In America, it is a social convention not to argue about religion. We seem to have a policy of, “if you don’t mess with my nonsense, I won’t mess with yours.” It’s downright impolite to bring up the topic of logic to a religious person. If you ever ask people who attend a “megachurch” why they give money to it, when it’s plain for anyone to see that the tax-free cash is being used to build media empires and to line the pockets of already wealthy preachers, they’ll probably look at you funny. The truth is they don’t care where the money goes. They give the money because they have faith that god is pleased with them for giving it, and is building them a nice retirement condo in the clouds. Because religion is a business built on faith, it has to make faith into a virtue. Religions have to get to you when you are young and plow into your impressionable mind the idea that faith is a good thing, that it’s the only thing that matters, that it’s important. Not total faith, no, just enough faith to believe what god’s spokesmen (and it is almost always men) are telling you, even when what they’re telling you is complete rubbish. Religions have to do this. After all, faith is their only product. Faith may consume your whole life and a good deal of your money and your intellect, but it costs religions next to nothing to produce it. And the best part? Every indoctrinated child grows up to sell the product to the next generation.